Get down to business using this Westbridge Leather Business Case. Made of genuine full grain leather, it features a front slip pocket and two side slip pockets. 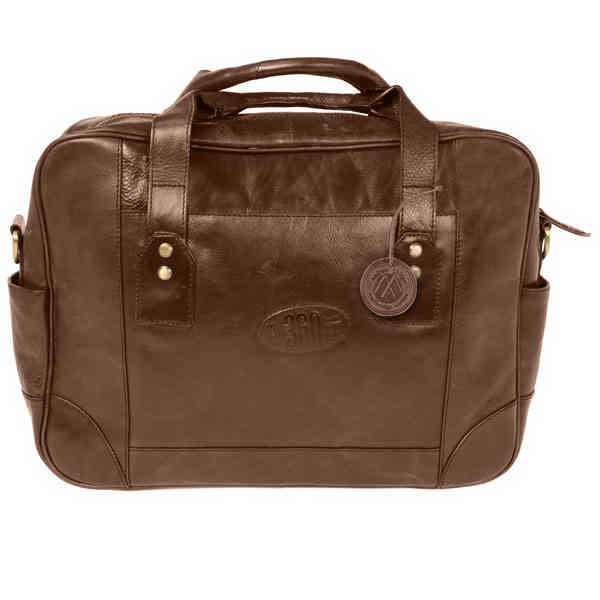 It has a added compartment that holds a 17" laptop securely, roomy interior with one zippered pocket and 3 slip pockets. There are 15" handles and 58" adjustable removable shoulder strap and a non-woven dust cover designed with a drawstring closure to keep out dust and dirt. Size: 16 " x 12 " x 4 "